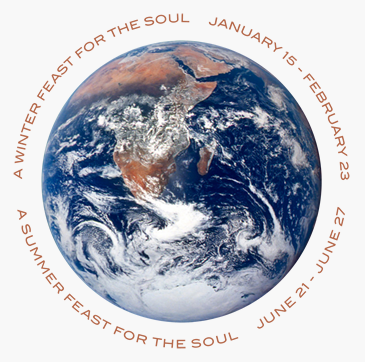 Winter Feast is an interfaith initiative designed to foster meditation and contemplative practice. 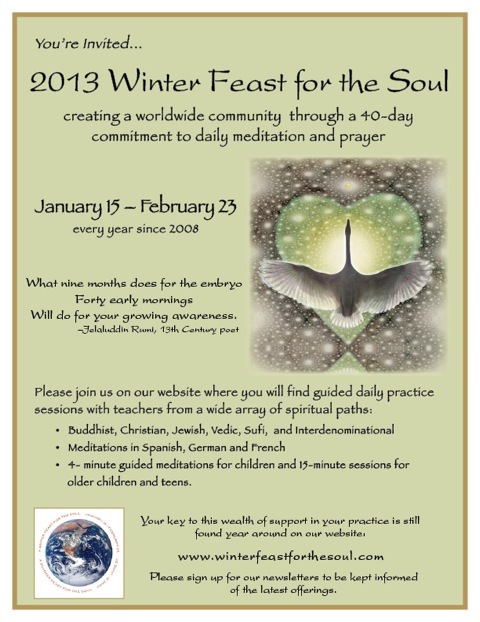 It’s a 40-day Worldwide Spiritual Practice Period. 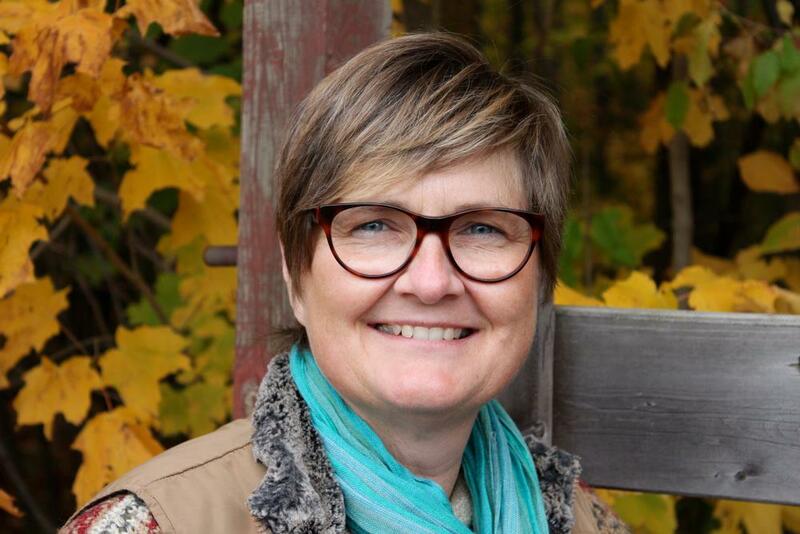 I will be following the Christian meditations led by Carl McColman. Choices also include 4 minute guided meditations for children and 15 minute sessions for older children and teens. What this means is that each day, starting January 15, for forty days I will listen to a 40-minute meditation — but thirty of those minutes will be silent. Each day Carl McColman will lead a brief induction to contemplation using a process based on lectio divina (sacred reading). He’ll begin by sharing a verse or short passage from scripture, followed by a brief reflection on the passage, then time for silence in which you may respond to the passage through prayer and contemplation. Then the recording will end with a brief prayer like the Lord’s Prayer, and finally an invitation to perform an act of kindness during the day, as a way of anchoring the spiritual intention of the practice. This entry was posted in Spirituality and tagged Christianity, contemplative practise, meditation, spirituality, winter on January 15, 2013 by nurturingspace.